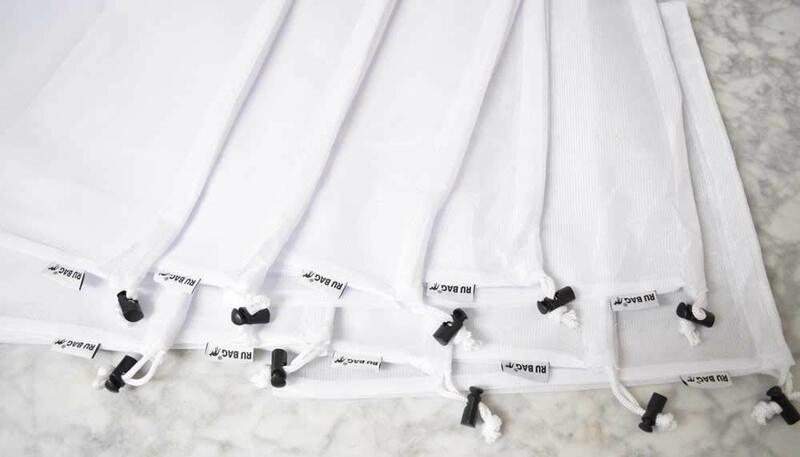 Set of 10 high quality large mesh produce bags. Bags are 12x13 in, perfect for all different types of produce. The bags work great as produce bags, toy bags, beach bags etc. These high quality bags can be reused and washed eliminating plastic waste. The breathable material helps produce stay fresh, eliminating moisture and mold issues that plastic bags have. Perfect to keep veges dry..
Bought these to use for produce at the grocery store. Great to keep veges dry and extend their life. Not worried about the new continent of plastic in the Pacific Ocean like so many others. Hoping it will solidify into a new land mass someday. Been using it as a reusable bag for my gym clothes. Works really great. Size is perfect. The use for this bag is endless and a must have for every household instead of using plastics that just go to waste. 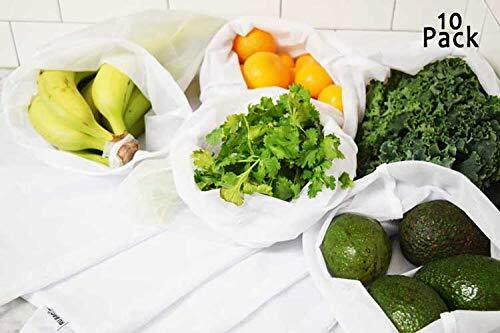 Excellent deal on mesh bags to purchase fruits or vegetables. If you care at all about the environment this is a great purchase to make. Have been looking for something like these for a while. I’ve been trying to find a way to make my new juicing easier as far as storage of fruits and veggies in the fridge, these work great! 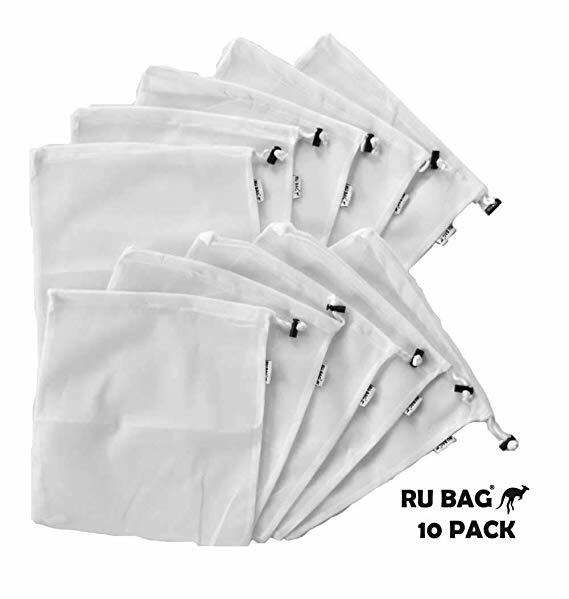 I have owned a lot of mesh bags and use them for a variety of things around my house and these are the best quality ones I have ever purchased! The locking slide bead is so useful! My veggies are happy and so am I! I have always wanted to try these but never did because they are a bit pricey. Was able to with the cash back and so glad I did. These work amazing. No more spending hundreds of dollars a year on fresh produce for it to go to waste. I can now purchase produce when it's on sale without having to worry about throwing it in the garbage. Keeps it fresh so much longer. Love that they are washable too. These bags are great because they replace wasteful disposable plastic produce bags. The bags seem durable and like I can use them for a long time. I am very happy I got these bags. We are trying to reduce the amount of bags and pollution we release into the environment. These are very fine mesh and soft to touch. 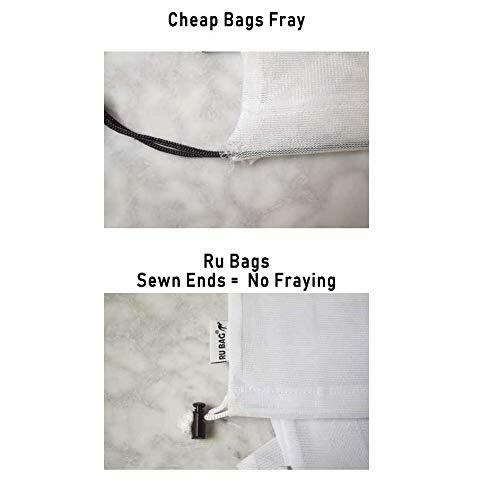 The drawstring is easy to manuever and containes produce very easily and nicely. They also wash and dry very well. I have been fascinated by these bags. They are quite large and are perfect for different types of products. I have started using them with onions. 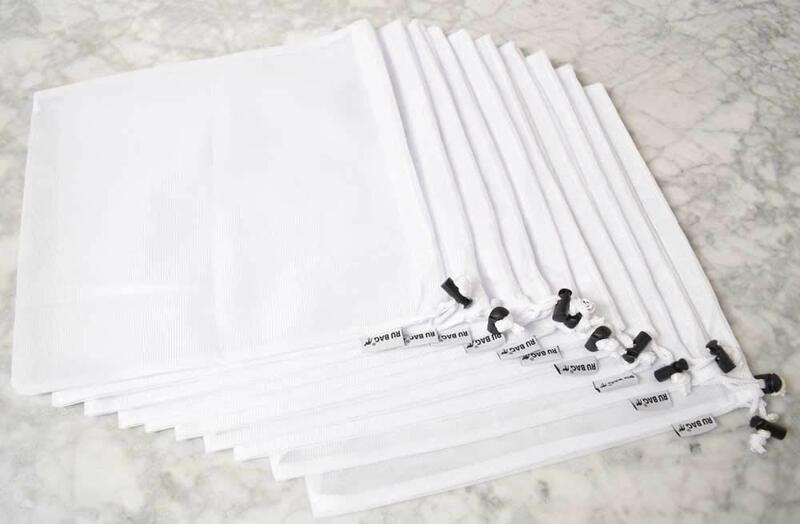 One of the things that I like most is that they can be washed and reused so I can eliminate the constant use of plastic bags that the product is damaged very easily. I was tired of cilantro going bad when I left it in the plastic produce bags. These bags are perfect for keeping the vegetables from sitting in water all the time and making them wilt and go bad. Buy and Earn 500 Points!